US Ebola: Frieden Said Every Hospital Was Ready. He is Wrong. Have you ever been face to face with a doctor dressed in rubber boots, a rubber suit, 2-3 pairs of gloves, 2 pairs of goggles and a hood? I haven't. Doctor journalist Richard Besser described the get-up he had to wear in an Ebola ward in Liberia. I would faint if I had to wear all this for more than a few minutes, being unaccustomed to temperatures over 100 degrees coupled with high humidity. If this outfit is truly necessary to care for Ebola patients, we are simply NOT prepared. I do not believe hospitals have stockpiled rubber suits and boots, nor many pairs of goggles, as they have never been needed before for any infections transmitted within the US. Hospitals do have isolation rooms, and a few negative pressure rooms, but not enough for dealing with a large outbreak. Despite the occasional disaster drill, very few of our medical staff have ever had to protect themselves from (life-threatening) hemorrhagic fever infections in their patients. Hospital-acquired infections, due to infection control challenges such as the fact of shared doorknobs, sinks and toilets, still are common in the US. These infections affect both staff and patients. How well hospital staff will do, faced with possible Ebola cases, is unclear. How well we will be able to separate Ebola from non-Ebola febrile patients will be a major problem. The US could easily see healthcare facilities become places where Ebola spreads, just as is happening in Africa. Why? You can't isolate Ebola patients from other patients effectively, until after those with Ebola have become highly contagious, because you cannot diagnose them any earlier: the tests available today are not sensitive enough. I cannot imagine everyone in a waiting room wearing a moon suit. For one thing, if it isn't put on and taken off perfectly, it does not help. Where would they safely gown up? In a bathroom, where the disease is most likely to spread? How would doctors and nurses know which patients to wear the gear for, and which not? A significant related problem is the current inability to diagnose the infection at the local hospital level, coupled with the inability to diagnose cases until after they are highly infectious. Only a few centers can currently perform tests for Ebola. 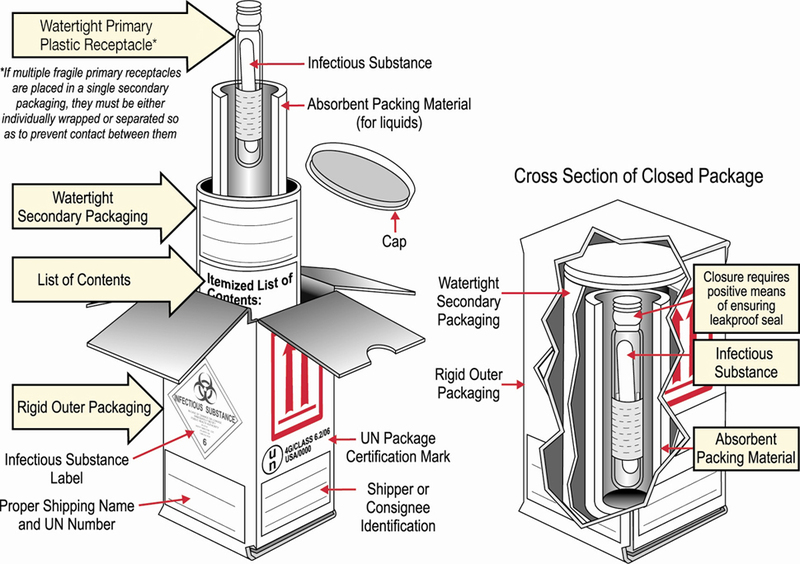 CDC's website has detailed information about shipping specimens to CDC for testing. But the website currently has no information on any other laboratories that can safely and accurately perform these tests at the local or regional level. (Texas' state public health lab apparently has this capacity. Who else does?) How long will it take to get a confirmatory test result when the CDC's lab capacity is overwhelmed? Tests (according to CDC) are only expected to be positive after 3-10 days of clinical illness. Most people will be critically ill (or dead) by the time a confirmed laboratory diagnosis can be made. Several diagnostic tests are available for detection of EVD. Acute infections will be confirmed using a real-time RT-PCR assay (CDC test directory code CDC -10309 Ebola Identification) in a CLIA-certified laboratory. Virus isolation may also be attempted. Serologic testing for IgM and IgG antibodies will be completed for certain specimens and to monitor the immune response in confirmed EVD patients (#CDC-10310 Ebola Serology). Lassa fever is also endemic in certain areas of West Africa and may show symptoms similar to early EVD. Diagnostic tests available at CDC include but are not limited to RT-PCR, antigen detection, and IgM serology all of which may be utilized to rule out Lassa fever in EVD-negative patients. Specimens collected for EVD testing should be packaged and shipped without attempting to open collection tubes or aliquot specimens. The following steps should be used in submitting samples to CDC. Hospitals should follow their state and/or local health department procedures for notification and consultation for Ebola testing requests and prior to contacting CDC. NO specimens will be accepted without prior consultation. For consultation call the EOC at 770-488-7100. Contact your state and/or local health department and CDC to determine the proper category for shipment based on clinical history and risk assessment by CDC. State guidelines may differ and state or local health departments should be consulted prior to shipping. UPDATE: USAMRIID in Frederick, Maryland is one of the few facilities in the US with a specially designed clinical unit for treating patients infected with biosafety level 4 pathogens, such as Ebola. (Nebraska and CDC/Emory have two others. Forbes says there are 5 such isolation units in the US.) Ten years ago a researcher was stuck with a needle from Ebola-infected mice. Dr. Mark Kortepeter describes the USAMRIID center and the circumstances of care of the affected researcher. It is apparent that the facilities deemed necessary for such care of biodefense researchers go way beyond what is available in community hospitals in the US. Ebola Opinion: What do you do when you can't tell those with Ebola from patients with other conditions? Distinguishing Ebola cases from others is the most immediate need for health care providers and patients. If you cannot determine immediately who is infected, patients with other conditions will be lumped with possible Ebola patients, and may contract Ebola as a result of healthcare! Even worse (from the point of view of medical providers) is that nurses and doctors will not know for which patients extreme personal protection measures are needed. Dr. Brantly felt he was exposed to Ebola not in the Ebola ward, but when caring for patients in other areas who had not been diagnosed with Ebola, but had it and were spreading it, while they were believed to have a different problem. What is the solution? Reverse transcriptase PCR is used currently. It requires fancy equipment, plenty of training and a clean lab. This is not a test that can be performed in the bush. Immunoassays can also be done, but are not suitable for early detection nor use in rural communities. Virus is generally detectable by RT-PCR between 3 and 10 days after the onset of symptoms . The demonstration of genetic diversity and rapid accumulation of sequence changes of Ebola virus in the West African epidemic indicates that careful monitoring will be needed to ensure the continued sensitivity of RT-PCR diagnostics . Antigen detection may be used as a confirmatory test for immediate diagnosis . In some cases, testing for IgM or IgG antibodies to Ebola virus may also be useful to monitor the immune response over time and/or evaluate for past infection. What is needed to deal with Ebola at the village level is a test that could be performed in rural clinics, such as a urine antigen test, and it would need to detect low levels of antigen for earlier, asymptomatic detection. Preferably, the test would employ a card, with a spot that changes color when Ebola virus antigen is detected. Serious consideration should be given to developing rectal and saliva Ebola antigen tests as well. Were such a test available, it could be performed daily on patients so, as soon as patients began to excrete even low levels of virus, they would be moved to an isolation facility. Testing patients for Ebola just once, using any current method, will miss some number of cases, and those missed cases could infect their families and medical personnel. Until Ebola can be quickly identified and non-Ebola patients are safely managed (away from all Ebola patients) the healthcare systems in Ebola-ravaged countries will remain crippled. The Centers for Disease Control and Prevention. Interim Guidance for specimen collection, transport, testing, and submission for Patients with Suspected Infection with Ebola Virus.Disease http://www.cdc.gov/vhf/ebola/pdf/ebola- lab-guidance.pdf (Accessed on August 25, 2014). Gire SK, Goba A, Andersen KG, et al. Genomic surveillance elucidates Ebola virus origin and transmission during the 2014 outbreak. http://www.sciencemag.org/content/early/2014/08/27/science.1259657.full.pdf. Feldmann H. Ebola - A Growing Threat? N Engl J Med 2014. If you were ever my patient and asked about artificial sweeteners, you would have gotten an earful. There is so much available data on the problems with them. Artificial sweeteners might be triggering higher blood-sugar levels in some people and contributing to the problems they were designed to combat, such as diabetes and obesity, according to new findings published Wednesday in the journal Nature. Although the precise reasons behind the blood-sugar changes remain uncertain, researchers suspect that artificial sweeteners could be disrupting the microbiome, a vast and enigmatic ecosystem of bacteria in our guts. In a series of experiments, researchers found that several of the most widely used types of non-calorie sweeteners in food and drinks — saccharin, sucra­lose and aspartame — caused mice to experience increased risk of glucose intolerance, a condition that can lead to diabetes. “We are talking about very dramatic increases,” said one of the study’s co-authors, Eran Segal, a computational biologist at the Weizmann Institute of Science in Israel. Where can you find hundreds of doctors who can leave their practices and deploy to Africa? In Cuba, where they have deployed large numbers of doctors to Africa many times before. “Cuba is world-famous for its ability to train outstanding doctors and nurses,” said WHO director Margaret Chan in a Sept. press conference announcing Cuba’s surge of health care workers. Dr. Margaret Chan, WHO Director-General, said that the Cuban response was the first since her United Nations visit last week and “international rescue call” by UN Secretary-General Ban Ki-moon for a scale-up of aid and personnel to combat Ebola in west Africa. The stories of healthcare workers being stretched beyond breaking point are countless. A lack of basic protective gear such as gloves has been widely reported. The charity Medecins Sans Frontieres has an isolation facility with 160 beds in Monrovia. But it says the queues are growing and they need another 800 beds to deal with the number of people who are already sick. This is not a scenario for containing an epidemic, but fuelling one. Dr Dye's tentative forecasts are grim: "At the moment we're seeing about 500 new cases each week. Those numbers appear to be increasing. "I've just projected about five weeks into the future and if current trends persist we would be seeing not hundreds of cases per week, but thousands of cases per week and that is terribly disturbing. "The situation is bad and we have to prepare for it getting worse." The World Health Organization is using an educated guess of 20,000 cases before the end, in order to plan the scale of the response. I anticipate a huge loss of life from Ebola in Africa, due to the lack of medical and all other infrastructure in so much of the continent. Africans are like everyone else: they want to save their family members. If treatment centers are available that will increase the chance of survival, they will utilize them. The capability to give appropriate iv fluids and replace electrolytes is what is needed, at a minimum. But if all the healthcare system can do is provide quarantine centers, which guarantee exposure to ebola victims without effective treatments, why would anyone go there? Instead, cases will be hidden from the authorities, making case-finding impossible. Africa does not have enough people who can manage the needed number of iv's, especially when drawing blood exposes the health care worker to the disease. Africa's medical systems lack iv fluids, medicines, personal protective equipment, laboratories and well-trained staff who can safely use these products. To give the correct iv fluids and electrolytes, you need frequent lab tests and blood draws. (I cannot even imagine using arterial lines in bush hospitals, so will not discuss them further; they would be part of ICU monitoring here.) The bottom line is that there will never be sufficient 'first world-style' treatment centers, given the rate of increase in cases and the inability to identify many cases and contacts, and isolate them. But maybe there is a somewhat effective, low tech partial solution. Dr. Brantly said that patients with Ebola sometimes would grab their chests and fall over dead. From his own case and others, we have learned that Ebola causes electrolyte and fluid abnormalities that are associated with life-threatening cardiac arrhythmias. What saves lives in cholera epidemics, when intensive medical car is unavailable, is oral rehydration fluid. These products contain sugar, salts, bicarbonate and water. If the patient can keep the fluids and electrolytes down, they rapidly enter the bloodstream from the stomach and small intestine, creating a similar effect as iv fluids. The treatment is cheap. It requires no trained medical staff. It works when toxins have led to efflux of sodium, potassium, bicarbonate and water from intestinal cells. Ebola diarrhea might require a slightly different mix or ratio of electrolytes. From looking at what the 4 Americans, who were brought back to the US for treatment, received via iv fluids, some good guesses can be made about the best oral rehydration fluids to try. This idea is worthy of testing, as case numbers are bound to grow exponentially--and the world's resources are unlikely to be able to create hospitals and supply health care professionals in adequate numbers to provide standard treatments to most of those affected. This could be a stand-in, while we await more targeted treatments.